Scientists from Hokkaido University are currently analyzing the development of solar cells made of solid materials in order to enhance their ability to survive in harsh environmental conditions. 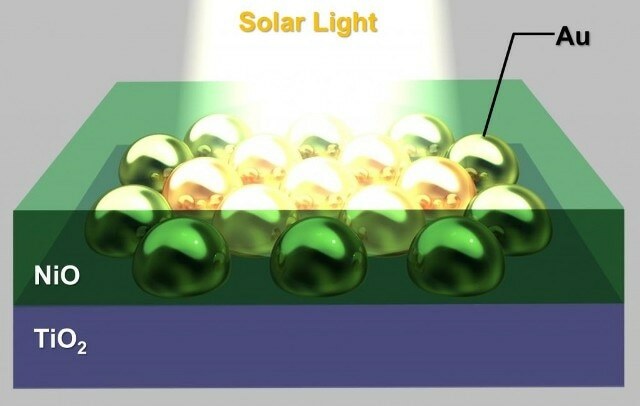 Japan’s Hokkaido University scientists are working towards exploring the fabrication of all-solid-state highly durable solar cells that are capable of transforming sunlight into energy. The research team used the “atomic layer deposition method”, which helps scientists monitor the deposit of uniform, thin layers of materials on top of each other. The team used this method to deposit a thin film of nickel oxide onto a single crystal of titanium dioxide. Following this, gold nanoparticles were added between the two layers. These particles behaved like an antenna harvesting visible light. The properties of all these fabricated devices were tested by the team with and without an intermediary step after the deposition of nickel oxide that deals with the process of heating it at extremely high temperatures and then making it to cool down slowly. This process is known as “annealing”. The scientists successfully observed photocurrent generation on the all-solid-state photoelectric conversion device. They found the device to be extremely durable and stable as it did not contain organic components, unlike some solar cells. These organic components tend to degrade in harsh conditions as time goes by. The team also discovered that the properties of the device were affected by annealing, which changed the interfacial structure of the layers. For example, annealing increased the resistance within the device and also increased the voltage obtainable from the device. The efficiency of the device to transform light to electricity was decreased. The results highlighted that the structural changes caused due to annealing prevented the injection of electrons into the layer of titanium dioxide by the layer of gold nanoparticles. The fabrication process developed by the team is cost-effective and can also be easily scaled up but the properties of the resultant device still seem to be insufficient for practical use and its ability to transform light to energy needs to be enhanced. Research should be conducted in examining how the role played by every single layer in conducting energy to enhance the efficiency of the device.